We’re still some time away from Google announcing which community (or communities) will be given the Google Fiber for Communities project. Even though we don’t know who “won” yet, what Google did learn is that this country very much wants faster Internet access, and so the search giant wants to see what it can do about helping people along that path. 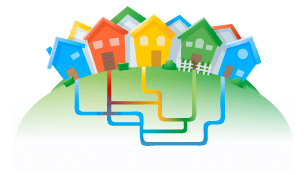 Back in Feb. of this year, Google announced a competition called Google Fiber for Communities. The idea was that Google wanted to test out the concept of running gigabit fiber optic lines to about 50,000 people to see how practical the concept was. So long as the nation’s Internet access is slow, that means connections to Google are slow, and that isn’t something Google is a big fan of. The thing was, we’re not sure even Google expected the number of entries it got (including my own town), and some 1,100 communities around the United States petitioned to be chosen. While the company clearly can’t pick them all, it sent a very clear message to them that this country is desperate for faster Internet. With this in mind, Google has launched a new site called Fiber For Communities. While the site will, in part, chronicle what is happening with the competition for the Gigabit fiber project, it is also going to be a clearing house for information on what you can do right now to help your community improve its Internet speeds. Do you need to contact your legislators? Is the zoning in your area set up for such a project, and if not, what can you do to change it? A host of additional resources for information and organizations that may be able to help you get your community motivated in the right direction. Right now the federal government is trying to implement plans that will see the United States catching up to speeds other countries enjoy right now by the year 2020. It is clear that waiting for the government to sort out this plan is not going to work and it is going to take a grassroots movement of individual communities improving their own broadband connections. While Google has its questionable business practices at times, as all large companies do, this is clearly not one of those. There is no money to be made here for Google, there is nothing to be gained, except for making sure that the United States catches up to the rest of the world now as opposed to catching up to the present day a decade from now. What say you? Is your community doing anything to improve Internet speeds?